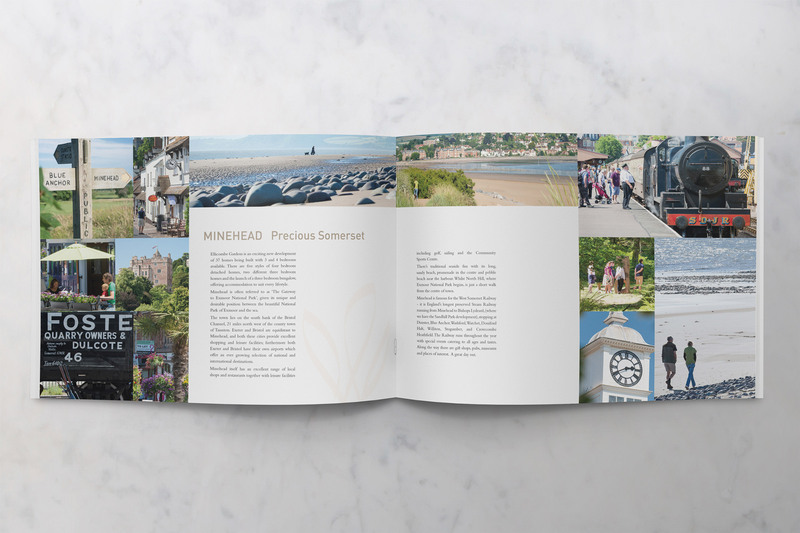 Minehead is the home for Ellicombe Gardens, a residential site by Strongvox Homes. 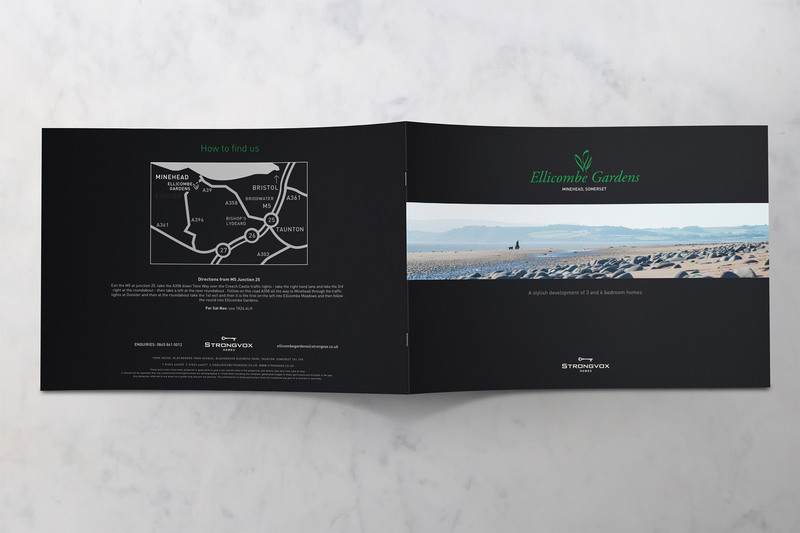 Well thought through branding within this sales brochure, representative of the environment and location. 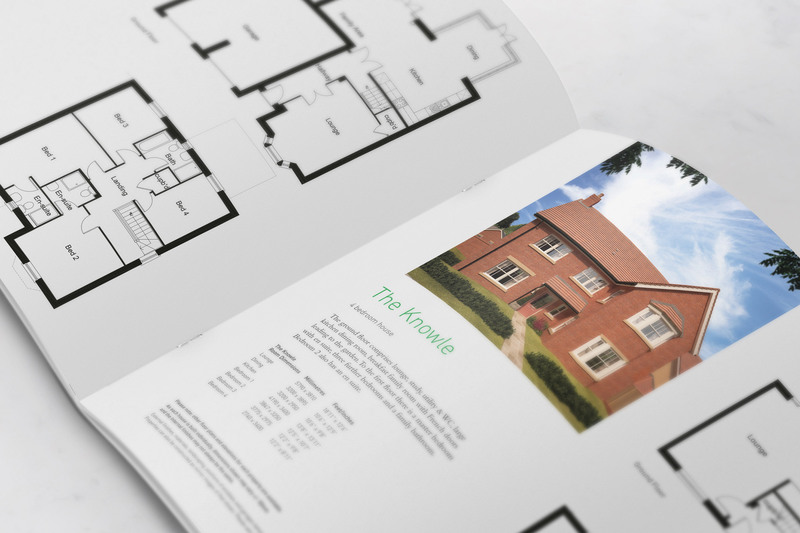 The aspirational look and content of the brochure fits easily with the tone of voice of the site; easy navigation for sales staff and customer alike, clearly displaying choices for selling and buying off plan. Dedicated branding, underwritten by the distinctive Strongvox brand – wrapped up in a piece of quality print. 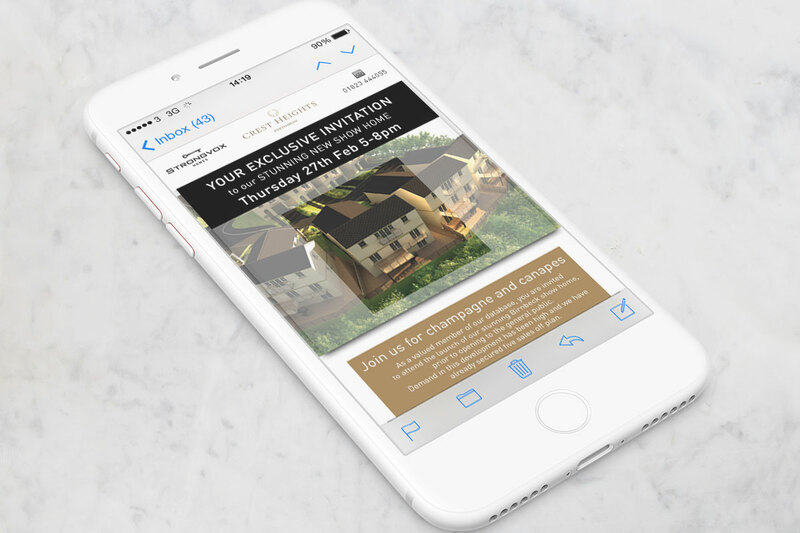 All easily transferable to digital email campaigns.